Was He A Devil Worshipper? Showbiz ‘Bad Boy’ Shaffie Weru Pens Up About His ‘Evil’ Past. The undisputed king of radio Shaffie Weru recently left tongues wagging after he decided to open up about his life as teenager. The controversial and scandalous millionaire disclosed has early life during a recent up and close candid media interview. 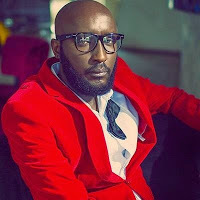 Shaffie Weru, the self proclaimed showbiz bad boy said that he was once expelled from school because of his dress code. He is an alumnus off Chuka High School.